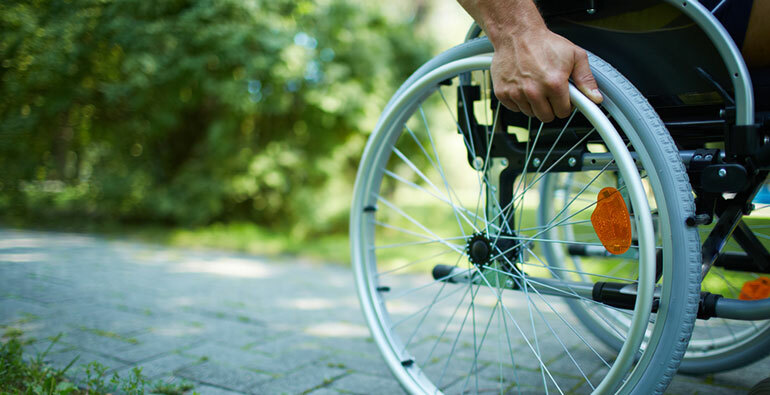 The Greens are calling for a “radical” rethink of disability policy in Australia, unveiling a plan to create a more accessible and equitable society for people with disability. Greens Senator Jordan Steele-John is spearheading the plan, which includes $1 billion for an Accessible Infrastructure Fund targeting public buildings and $400 million to create accessible public transport infrastructure over the next four years. Steele-John said never before had a political party been willing to address these challenges as a comprehensive package. “Disabled people – my community – are still significantly less likely to receive the same standard of education, are less likely to be employed, less likely to own their own home and less likely to be financially independent, yet are more likely to be abused… depressed or face mobility issues,” Steele-John said. The plan pledges to address the disproportionate impact a shortage of public housing has on disabled people by building 500,000 fully accessible public and community houses under the Federal Housing Trust. It also includes a commitment to fully fund the National Disability Insurance Scheme, and improve the scheme by ending the arbitrary staffing caps and creating a fit-for-purpose IT system. Steele-John told Pro Bono News that Australia needed to think differently about how it handled disability. “Over 4 million people with disability in Australia every day experience segregation and discrimination in our homes, our workplaces, our communities and in educational and institutional settings,” he said. Steele-John said it was frustrating that accessibility remained such a significant issue for the disability community. “By building something that is inaccessible or allowing a major piece of infrastructure to be built which is inaccessible, it shows we still have discriminatory policies and processes in Australian society,” he said. Steele-John also said the Greens would introduce a quota for people with disability in the Australian Public Service, with disability representation in the public service at record lows. “It is time to free ourselves of the idea that nicely written inclusion plans and strategies will improve representation,” he said. Even though the Greens’ plan would cost billions of dollars, Steele-John said the plan could easily be paid for by making Australia’s corporations and foreign multinationals “pay their fair share” of tax. He was also hopeful the platform would garner the cross-party support to make the plan a reality. “What we have proposed today is a radical, transformative civil rights agenda that aims to systematically break down the barriers which segregate almost four million Australians,” he said. Cátia Malaquias, the founder and director of Starting With Julius, a project promoting disability inclusion, told Pro Bono News she was very pleased with the plan and hoped it would be supported by the major parties. She said she was especially excited to see the Greens’ firm commitment to the inclusive education of students with disability in regular classrooms in Australian schools, after the party pledged to develop a new national standard of inclusive education training. This, she said, endorsed inclusive education as a right recognised by UN Convention on the Rights of Persons with Disabilities – to which Australia is a signatory. “We know from decades of research that inclusive education presents the optimal, evidence-based pathway to the broader inclusion of disabled people in employment and society generally,” Malaquias said.